Homeopathy is a holistic approach to healthcare, treating the person as a whole and taking into account each patient’s symptom picture within the context of their life situation, rather than taking the illness out of its personal context and treating it in isolation. The well selected remedies act as a catalyst to stimulate the body’s innate ability to heal itself and reduce susceptibility to future ill health. Homeopathy is a gentle, yet highly effective system of medicine. It uses naturally occurring substances in the form of remedies to stimulate the body's own healing power. The results, although gentle, can be powerful and long lasting. It is suitable for everyone, even sensitive patients, from pregnancy, childhood and adolescence to adulthood and older age. Everything from trauma and acute or short term illness to many types of chronic conditions can be effectively treated by Homeopathy. It is imppossible to list them all, however many people commonly seek homeopathic treatment for stress, anxiety, insomnia, depression, fatigue and headaches, period and fertility problems, pregnancy related conditions, menopause and children's illnesses. Other common conditions people seek homeopathic treatment for include ear, nose, throat and eye disorders, respiratory illnesses, digestive and urinary tract problems, bone, joint and skin conditions. 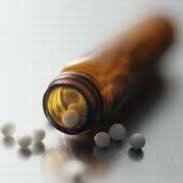 Homeopathy may also be effective where there is no specific diagnosis. On your first visit your Homeopath will take a detailed note of all your symptoms and a thorough medical history. Establishing good health involves treating both mind and body so the Homeopath takes time to listen to both emotional and physical symptoms. They will want to know a little about you as a person, your likes and dislikes, worries, fears, what makes your condition worse or better, when the problem started, family history and so on. The first visit usually lasts 1 to 1.5 hours and subsequent visits are usually shorter. Breeda - Breeda is a mother of two teenage girls and comes from a nursing background. She is passionate about Homeopathy, its deep gentle healing and its ability to empower the individual. She is also qualified in Magnified Healing. Helen - Helen graduated from the Irish School of Homeopathy. A former teacher and counsellor, she has a keen interest in revisiting mental health issues holistically. She is a trained Reiki master and has also studied Magnified healing. In her spare time she loves to dance. 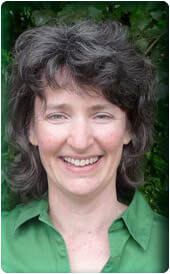 "I am a licensed graduate of the Irish School of Homeopathy four year professional training course in Ranelagh. I have undertaken post graduate studies in Optimum Homeopathy with Ali Welfare and am also a certified CEASE therapist which specialises in the treatment of Autism Spectrum and other similar diseases. I am curious and find enjoyment in simple pleasures. I love being in nature and learning from its wisdom. I am available for consultations with offices in both Clonmel, Co Tipperary and Dublin. I am also available for phone and Skype consultations".